In a previous article about Croatian wines needing a DO, while alluding to it in a comment, I had left out mention of the Vinistra IQ that was set up several years ago. It’s something that’s definitely a step in the right direction, but it’s naturally only focused on Istria and oddly only on one grape: Malvazija (the Istrian variant). 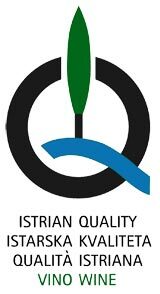 Like most certification bodies, they aim to assert Istrian Quality (IQ) via a variety of factors including the grapes being of a certain quality level and all coming from Istria. You can read all the details on their website, although the PDF is in Croatian, so Google Translate is your best friend. I don’t know why they don’t include Teran (the main red from Istria) in the group, or make it more encompassing to include all quality wines from Istria, but one can only hope that they’ll expand it in the future. Vinistra is really the only truly active winemaker organization in Croatia that’s doing what it can to unify a splintered market. And, it’s proof of concept as I generally see more articles about Istrian wine floating around respectable publications as opposed to those that talk about the Dalmatian wines as more of an afterthought to a beach holiday.